It may not be winning any rings or luring any superstars to join its team, but at least the New York Knicks’ owners are enjoying one enviable feat: it’s the NBA's most valuable for four years running. Forbes’ latest NBA team valuations report released on February 6 revealed the Knicks is now worth $4 billion (P209 million), up by 11 percent from last year. 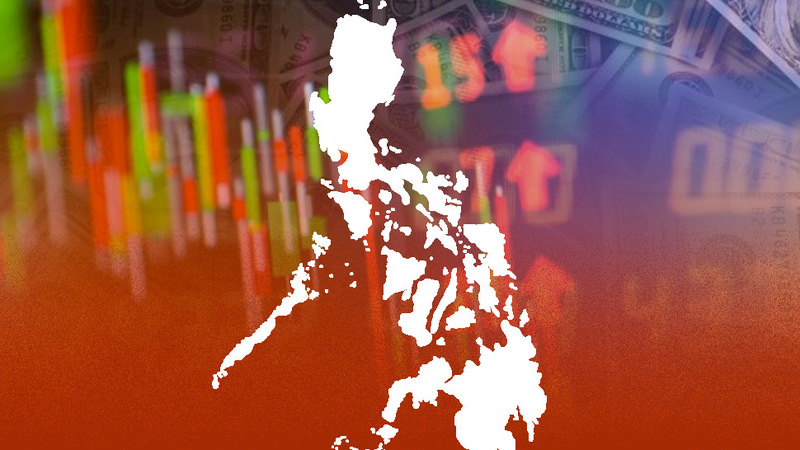 That’s just a few million pesos shy from the market capitalization of the country’s 20th largest listed company and the conglomerate behind Metrobank, GT Capital Holdings Inc., which is valued at P219 million. The Knicks made the distinction despite failing to clinch a championship in the past four decades. It has not even made a playoffs appearance since 2013 and is currently the league’s worst-performing team. Still, according to Forbes, the team continues to attract fans in its games, earning big money from the seats sold in its home court, Madison Square Garden. 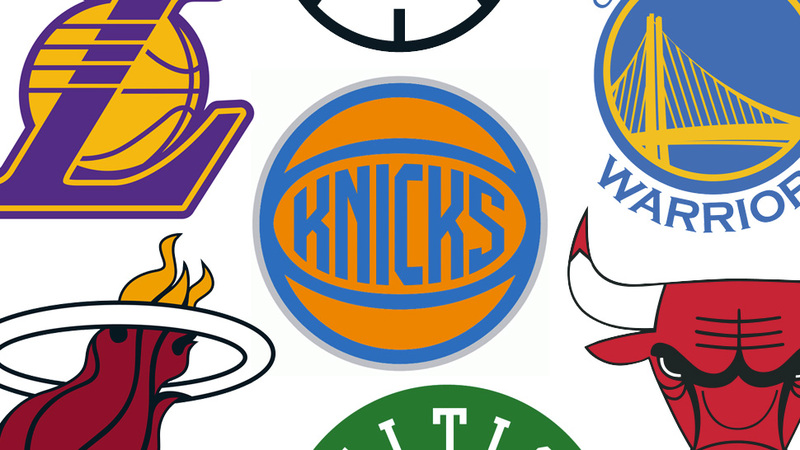 The team is owned by the Madison Square Garden Company. Following the Knicks is a similarly struggling team, at least, in terms of its current NBA standings, the Los Angeles Lakers. Home to legends and superstars, the Lakers are the league’s second most decorated team with 16 championships. Still, it has not made a playoffs appearance since winning rings in 2010. Despite its less-than-desirable win-loss record, the current team of superstar Lebron James has a current valuation of $3.7 billion, a 12-percent increase from last year. The one team in the league’s top 10 most valuable that has greatly benefitted from what it does on the court is reigning champions Golden State Warriors. Superstar Stpeh Currys current team has won its last three championships in the past four years, boosting its current valuation to $3.5 billion, up by 13 percent from the previous period. According to Forbes, the Warriors’ valuation has gone up by 367 percent in the last five years. And it is expected to make more as the team heads to a new home court, the $1-billion Chase Center Arena in San Francisco in August 2019. Completing the top five are the Chicago Bulls with $2.9 billion and the Boston Celtics with $2.8 billion. 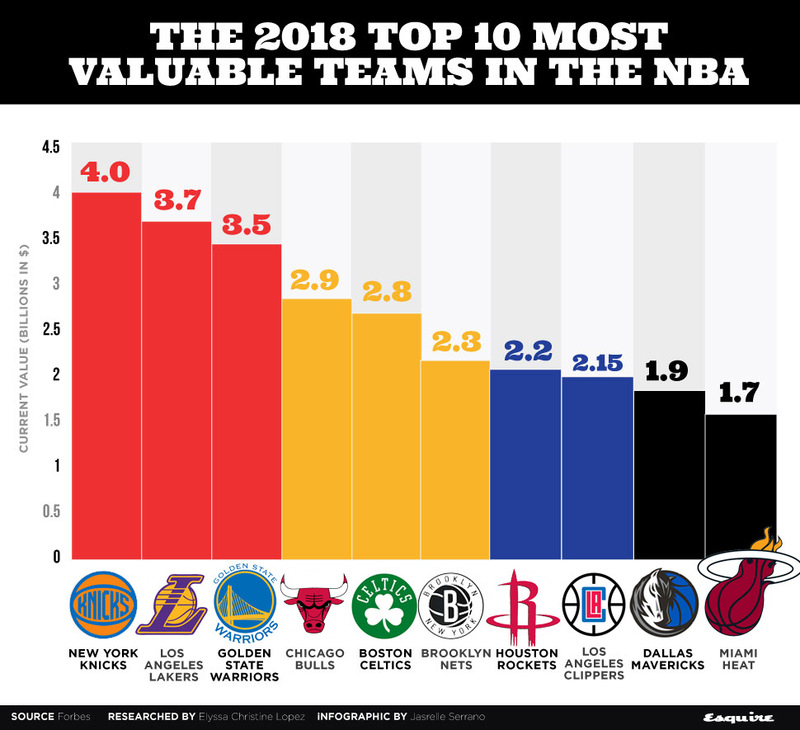 Both teams, including the rest in the top 10, have enjoyed double-digit percentage increases in their valuation from last year’s numbers except for Los Angeles Clippers which recorded a 7-percent increase in valuation from last year with $2.15 billion as seen in the infographic on this page. Forbes said the league’s growing revenues are all thanks to the bankable deals it has made with US-based cable channels and a certain collective bargaining agreement. The average NBA team is now worth $1.9 billion, or triple the average five years ago. Likewise, profits have doubled the amount compared to two seasons ago at $61 million per NBA team. “Teams have benefitted from the NBA’s $24 billion TV contract with TNT and ESPN, which kicked off with the 2016-17 season, as well as the collective bargaining agreement reducing the share of revenue players receive,” said Forbes’ senior editor Kurt Badenhausen. 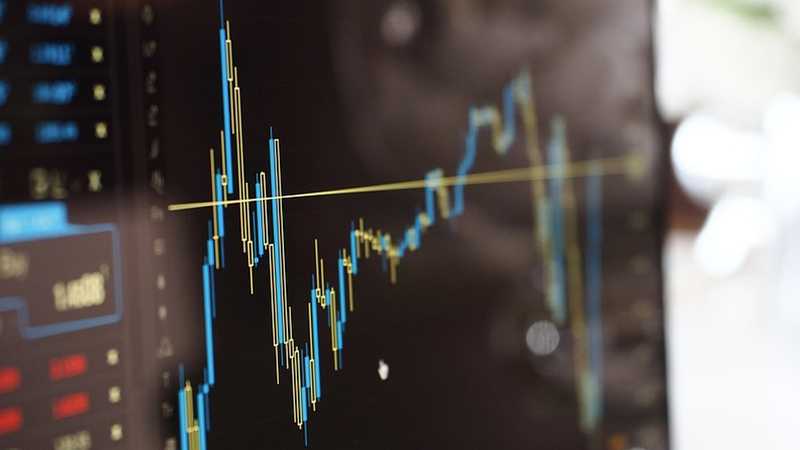 Forbes arrived at the teams’ valuation by computing for their enterprise values or equity value plus net debt.